The Mama Bear Chronicles: It's National Adoption Month! I really admire those men and women that are willing to open their hearts to children that need it the most! If my husband and I cannot have children, I hope that I can convince him to adopt! There are so many children that deserve a good life and I feel that we can provide that for them! We have so much love to give! My blogger friend, Kailey at More Than You'll Ever Know and her husband Dru, have recently decided to adopt. She started a new blog to record her new journey. Visit her blog Cheers to Plan A and cheer her on! Kailey and her husband will be amazing parents! I can't wait until their dream is fulfilled! I recently started to follow another couple who just found out that the birth mother of the child that they were adopting had changed her mind and will be keeping the baby. 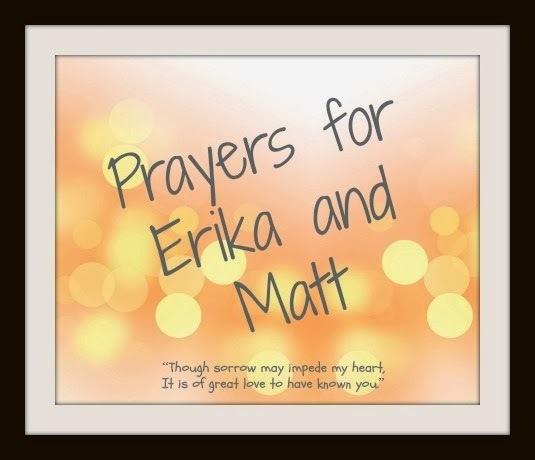 Stop by Something Beautiful and show some love to Erika and Matt. They are in my prayers through this tough time. Ah! Thank you so much for following our journey and supporting us. We are so excited to share this journey to our baby! Much love to you girl! Two Truths and a Lie: Were You Right?